A Sneak Peek into Tonight’s House Hunters International Episode | Barranquilla or Bust! When the possibility of being on HHI arose, we saw it as an opportunity to document our journey. If the show comes out the way we hope (we’ll be seeing it for the first time tonight, too! ), we look forward to giving the DVD to our son Marcello so that he can “remember” times and places his pre-2 year old mind may file away too deeply to access later. We extend our sincere thanks to the Barranquilla crew — Sandra Gaviria (Director), David Sarasti (Camera), Jeffrey Archer (Sound), Milena Thinkan (Local Fixer), Katherine Deckers (the Real Estate Agent on our show), Jesus Berrio (Driver). You not only provided your incredible skills and expertise, but also shared our love of quality coffee and a good policy wonk conversation. Gio has mostly forgiven you for not letting him play basketball. We also thank our Miami crew — Sam Connelly (Director), Charles Castilla (Camera), and Roy Chase (Sound) — for their good-natured hustling on the last day of filming when were were completely beat. We send a special shout-out and word of gratitude to our tireless Segment Producer Matthew Maguire of Leopard Films, who worked hard to translate our story into a tight episode and who always pushed for what he thought best (“A ‘quick’ trip to the beach with an ocean-loving 1 year-old? Are you sure, Matt?”). Diana Aleman, then Associate Segment Producer, took notice of our story and patiently guided us through the casting process. Last, but most definitely not least, we thank our family and friends in both Barranquilla and Miami for coming out to support us (and for helping to care for Marcello and/or house us during the trip back to Miami). It is no exaggeration to say that without you, absolutely none of this would have been possible in the first place. For those of you who may be wondering how the heck we got into this, the credit or blame – we’ll know after tonight! – goes to me. I responded to a post on the Expat Exchange stating that an unspecified major Cable TV show was looking for people who were about to move or who had just recently relocated to another country. Since Gio and I were HHI fans long before we decided to move to Colombia, I knew exactly which show that probably was. Gio and I watched the show enough so that when Gio took his scouting trip to Barranquilla, he used his cell phone to film three apartments and then hosted a mock HHI episode of his own for me upon return. As we went through the stress of the move, the show helped remind us that yes, people really do pick up and move to another country, crazy though it may sometimes feel. It seemed appropriate to close the loop by actually being on the show. Check out our episode, and let us know what you think! In getting to know our story, you are now officially a part of it. We welcome you, and thank you. P.S. Part 2 of “Ten Ways that Parenting in Colombia is Different Than in the U.S.” is coming your way later this week! 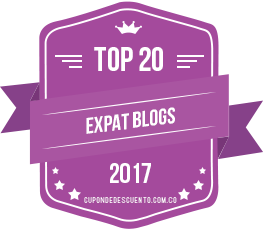 This entry was posted in House Hunters International, Uncategorized and tagged adventure, barranquilla, Colombia, expat, family relocation, hgtv, house hunters international, Latin America, Miami, south america, television, travel. Bookmark the permalink. Really nice one, Courtenay. Good pictures. And you look good! But no pics of Marcello. Cant wait to see the show! 5 days and we will be down your way! So exciting that you’ll be heading this way soon! Definitely contact me when you arrive. So great to connect with folks making the same leap! We enjoyed watching, Courtenay! So good to see your family and to hear your voice after many years. 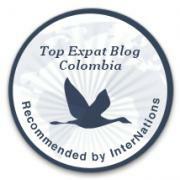 Enjoy Colombia! Thank you very much, Sonya! I’m happy you enjoyed it. I hope you’re doing well. I’m glad we’ve connected again on social media! I really enjoyed watching the show. It made me a bit sad my fiancée is currently living with her family in Barranquilla so I can attend school. So we will be separated for at least one more year until I graduate. Then I can bring her back to the states so we can merry. The place you picked is beautiful I hope you and the entire family have a great time. Great show! Thought you guys did a great job of assessing the pros and cons of each place. And I’m not sure your son could be any cuter. Hi Brighid! They do post some full episodes online… I will let you know if ours is posted. It was a fun experience! Pingback: (Friday Fotos) House Hunters International Take Two! | Barranquilla or Bust! Hi. I really want to watch this episode. i am from barranquilla myself and would love to see this! please let me know how to watch it online or purchase it or something. thank you!